Some combinations really gives us kick. 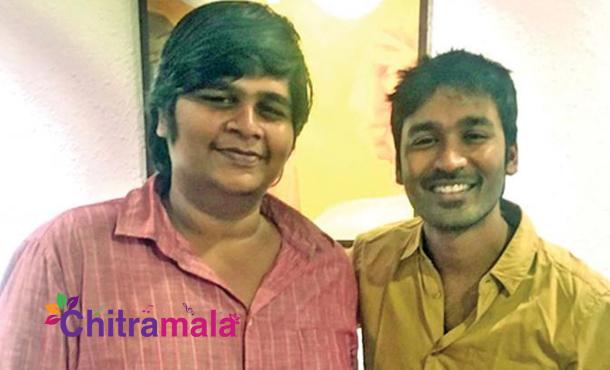 One such combination which is teaming up soon is of Dhanush and Karthik Subbaraj. Karthik Subbaraj, the young short filmmaker, turned Feature Filmmaker who already impressed all with his film Pizza is all set to direct Dhanush now. After making Pizza, the young director also teamed up with Siddarth for the critically acclaimed film Jigarthanda. Officially, Dhanush himself revealed the news on his Twitter profile. The news made the movie lovers very happy. When a talented actor like Dhanush meets the talented director like Karthik Subbaraj, the output will be extraordinary. “Glad to announce that I’m doing my new film with the very talented Karthik Subburaj. Shoot in September. God bless,” the actor tweeted on Saturday night. The director tweeted, “My next film after #Iraivi is with @dhanushkraja …. Very happy!! :)” The director has recently finished the film Iraivi which stars Anjali, Vijay Sethupathi, S.J. Surya and Bobby Simha and others in the lead roles. Meanwhile, Dhanush has a line-up of projects. which includes Solomon’s Thodari, R. S. Durai Senthilkumar’s Kodi, Gautham Menon’s Ennai Nokki Paayum Thotta and Marjane Satrapi’s The Fakir.